Cookies: After tracking down a cookie cutter (more difficult than you think but I did find it at the Bulk Barn) we were ready to start baking. 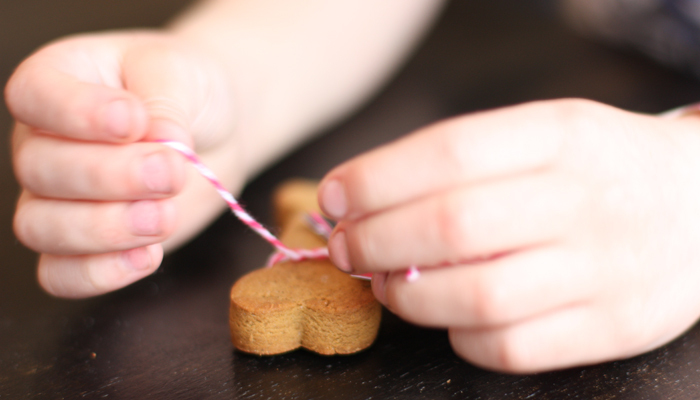 My daughter loves baking and crafts so we worked on everything together. First we baked the cookies (recipe from Allrecipe.com). We rolled them thicker than was instructed so they were more like dog bone treats. We also cooked them a bit longer than instructed so they were nice and dry. 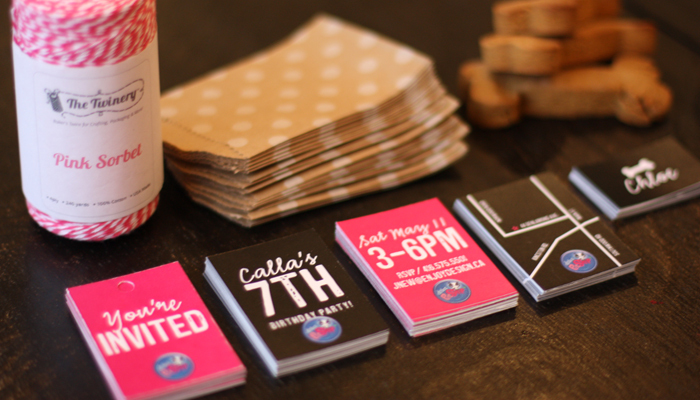 Invitation: I designed a set of four 2″ x 2.5″ cards, including invitation information, date and time as well as a map. I made sure when creating the cards to leave enough room at the top to hole punch a circle. 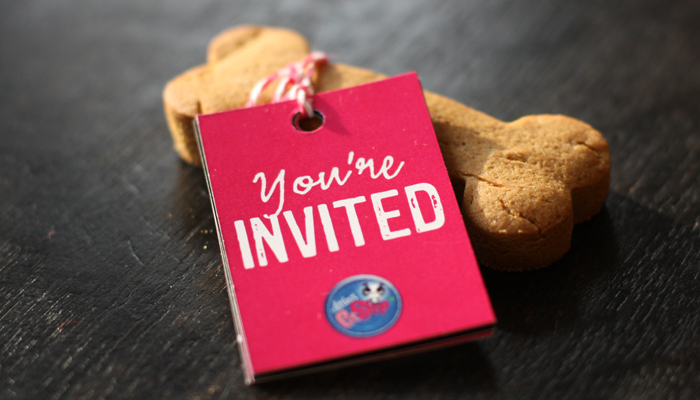 Next we used pink baker’s twine to attach the dog bones to the invitation. I found the pink twine at a great online supply store called Greenmunch. The twine was available in many colours. Envelope: Finally, I created tags with the guests’ names which I cut out and my daughter glued to these great envelopes that I also found at Greenmunch. They come in a variety of colours, patterns and sizes. This was great project to do with my daughter. Check back again to see how I tackled decorations, food and cake!